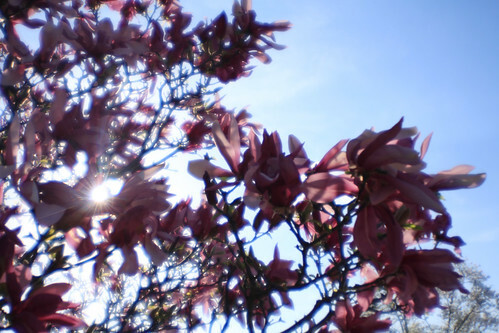 So, about two weeks ago, I went to the Garden and tried out my Diana Lens. It was a fabulously perfect evening-- the sun was starting to set. 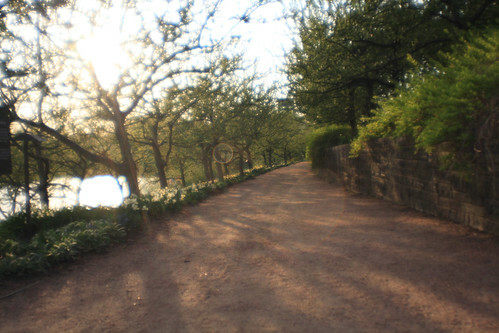 I was experimenting with my Diana Lens and LOVING it. Seriously. 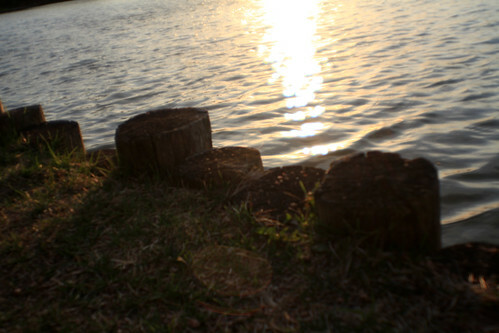 I was sitting in the Japanese Garden in my favorite little spot and was shooting the sunset across the little lake. Absolutely gorgeous. I wanted to get the pilings next to the shore in the shot along with the sun reflecting on the water-- I got one shot and as moved to get closer-- PLOP! the Diana Lens fell right into the lake!!! Fortunately, I fished it out of the lake (it floated!) I think it's okay. It's all plastic-- there are no mechanical parts to be damamged... I haven't tried it out yet--it's been drying on a towel all this time. I'm going to try it out this weekend. Please keep your fingers crossed that it still works and looks okay! Here are some other shots I took with that lens (prior to dropping it in the lake!) See what I mean? Don't they look so dreamy? Look at those fabulous sun flares!